Q: Hi Dennis! How long have you been with NETGEAR? A: I've been here for 10 years this past August. Q: I heard you came over to NETGEAR from an acquisition? A: Yes, I was a part of a startup called SkipJam in New York. It was acquired in August 2006 and I came over as part of the acquisition. Q: What do you do at NETGEAR? A: I’m currently the Senior Director of Arlo Software Engineering, managing the Arlo firmware, back-end, and app development teams. Q: And that includes the iOS and Android apps? A: Yes, that includes the web/browser application, the iOS application, and the Android application. Q: Very cool. What do you like most about your job here at NETGEAR? What keeps you going? A: Several things. I think the most important thing for me is that I find my work challenging. There’s something new almost every day. I also enjoy working with the people here. Different cultures, different personalities, different levels of competence. I get the opportunity to learn from them and at the same time I get to mentor them. I like helping people out when they come to me with issues. When we find solutions for these problems, I find that rewarding. Also, I knew we were going to have a winner with Arlo. Our team was very dedicated to make it a success. We put in extra hours, probably twice as much as normal employees would, initially, not counting the many sleepless nights. Many people from our team came from a startup culture and although we were a small team, we managed to get a lot accomplished for Arlo in a short period of time. It took us about 6 months to develop Arlo from a design to a working prototype. After the conceptual UX and architecting phases, we had the firmware, the back-end, and the apps working within this 6-month period. Q: As a consumer, how has Arlo changed or impacted your life? A: Arlo makes me feel more comfortable. I know that my home is being monitored. When I used to set up my own IP camera, I had to set up a Wi-Fi router, opening a port so I could remotely log in. That was quite challenging. I needed an IP address for my router. I didn’t have a static IP address so all that was a nuisance. Having Arlo and the cloud service makes it a lot easier for me to see what’s going on at home, especially with the kids. The most important thing is if something unexpected happens, I get notified. I have met a lot of people at my kids’ school who figured out I was one of the people working on Arlo and this has led to a lot of networking. It’s a small school, about 200 kids, but the school director told me that at least 15% of the parents have Arlo at home. Q: That’s really cool! So Arlo is currently the number 1 selling IP camera in the US, according to NPD data. What do you think is the secret sauce behind this success? A: I think the user experience is the key. Being able to set up the product within a short period and doing it without problems. You know how frustrating it is when you want to set up a new product and first off the bat, you run into problems. 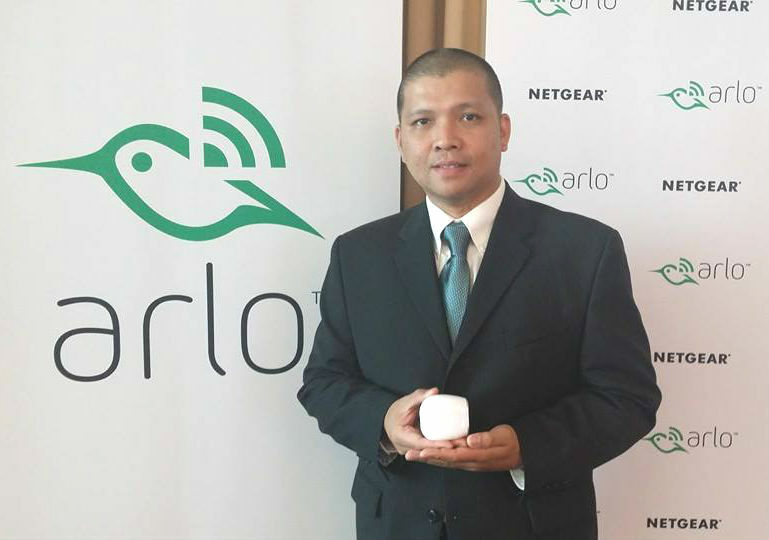 With Arlo, we wanted to make sure that the set up experience was great. At the same time, we had to make sure that post-onboard, all primary features of the application were easily accessible. We knew we were going to get some complaints from the “techy” users that the products weren’t doing much up-front, but from our studies, our customer’s primary use case is to view the camera. Everything else is secondary. Making the primary use case easily accessible to the 90% of users was our focus. What I’ve seen is that bringing all available features up front can alienate and distract users. Arlo is not an app you just install and leave unused on your phone. The Arlo app actually becomes quite personal. You interact with it a lot and bond with it. There is still a lot of work to be done with the app to improve the user experience, and we are on it. Q: Aside from using Arlo to watch your home, what other fun or creative uses have you found for Arlo? A: (Laugh) I have a lot of uses for Arlo. I use Arlo to catch who would steal my ice cream bar from the freezer. Q: You put the camera in the freezer? A: Yes, I put the camera in the freezer to test how it works in the cold, and to see who steals my stuff. On Christmas night a couple of years ago, while the kids were sleeping, I dressed up as a Grinch. 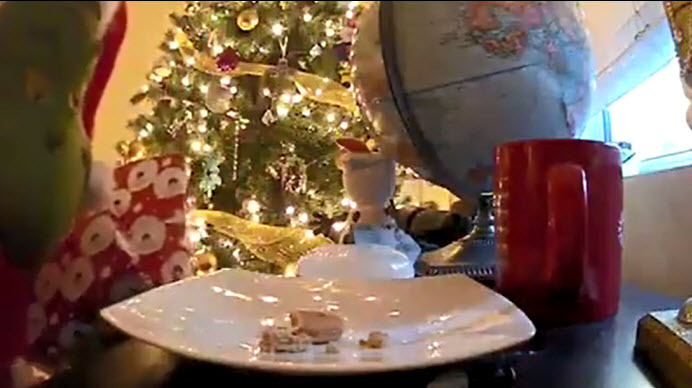 I put the camera in front of the Christmas tree, walked out from the behind the tree and triggered the camera to start recording me eating Santa’s cookie, drinking Santa’s milk, stealing the gifts, then walking back behind the tree and disappearing. 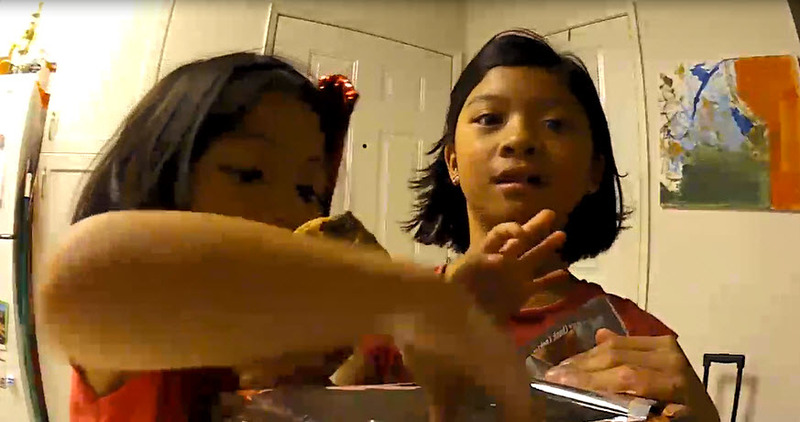 When the kids woke up and were looking for the gifts, I showed them the video. I told them it was a joke afterwards of course, but that was fun. Q: What do you see Arlo grow up to be in the next 2 years? A: I’m hoping to see us add more devices that will provide more solutions to our customers’ needs and capture more of the IoT market as demand grows. There are already a lot of solutions out there but not many of them provide a good, simple experience. I think we can build on our Arlo platform and provide those point-to-point solutions in a simple, cognitive user experience. We should expand our product line, build on our smart home architecture while focus on the user usability and the interaction between the products.